Horror anthologies in Norway are few and far between, but in 2010 a collection of four horror shorts were released on DVD. 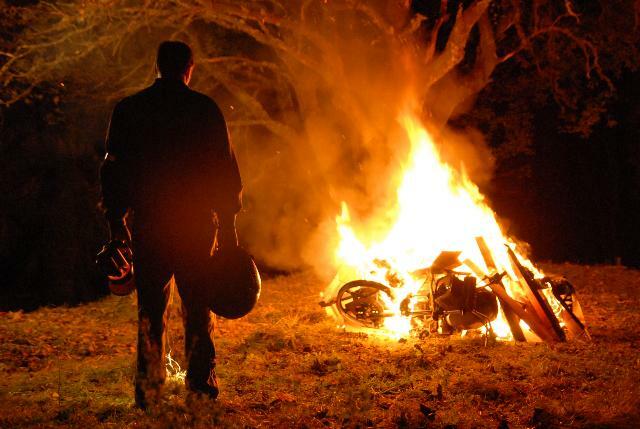 In 2008, public film funder Fuzz launched a horror/chiller competition in order to boost film making experience in Western Norway. Four movies were chosen as winners; Forlat oss vår skyld directed by Kjersti Steinsbø, Tempus Fugit directed by Even Benestad, Svin directed by Geir Henning Hopland and Familien Bergs erfaringer directed by Pål Øie. The four short films, all lasting 24 or 25 minutes, were funded by three different public bodies, as well as commercial TV channel TV2, which got broadcasting rights in return for their investment. The four films formed an anthology that could be said to be a milder version of Masters of Horror, or more like The Twilight Zone in impact and feeling. A requirement was that the films could be shown on mainstream TV, which meant that the films could not be gorefests, nor could they contain too much violence. Only moderate amounts of this is included, but the films nevertheless manage to show us some horror talents in the Norwegian film scene. Of the four directors only Pål Øie had previous horror film experience; he directed Dark Woods (Villmark) in 2003, the horror film that started the first real wave of Norwegian cinematic horror. By coincidence, actor Trond Fausa Aurvåg was cast in leading roles in two of the four movies. He may look like a comedian that you can’t take serious, but these two movies show that silent water run deeper. The movies, while being made on low budgets, starred professional actors and were shot with industry standard methods in order to be made available for TV2, and also to excercise local film production circuits. In 2010, Norsk Film Institutt (NFI), the government run film promotion and funding center, released a DVD containing all the four films. The widescreen DVD runs for 96 minutes but has no international subtitles or dubbed language. 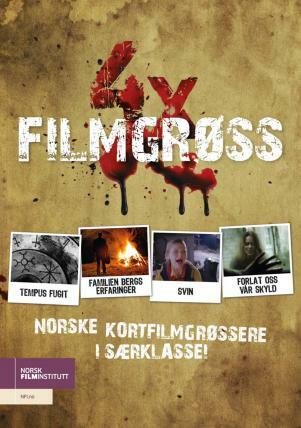 The DVD, called Filmgrøss x 4 (meaning Film Chills x 4) was released to promote regional film making, especially in the Western part of Norway, which has a growing professional film scene.